Etobicoke's Broadacres Park was one of many locations for community-led walks to explore public and green spaces in Toronto. Days of heavy rain and muddy fields didn't stop Torontonians from celebrating Jane's Walk in city streets and neighbourhood parks this weekend. Etobicoke's Broadacres Park, close to the homes of many new Canadians, was chosen as one of the sites of the walk. 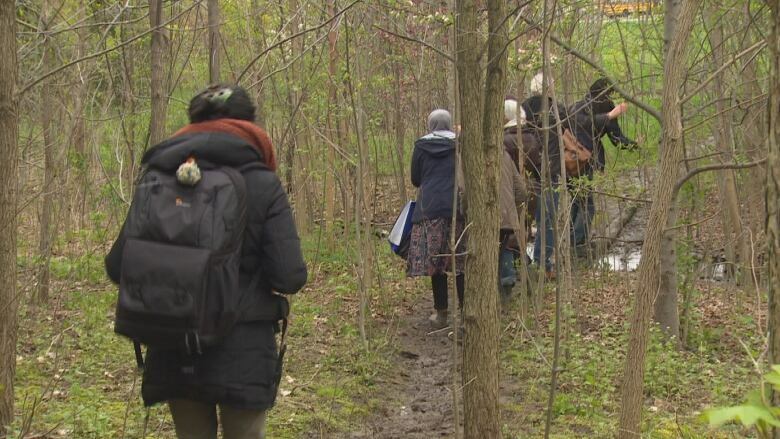 "What we realized is that Broadacres Park could be an incredible place for newcomers to come and know each other, to know other Canadians," said Leah Houston, artistic director of MABELLEarts, a community arts group, which led Saturday's walk. 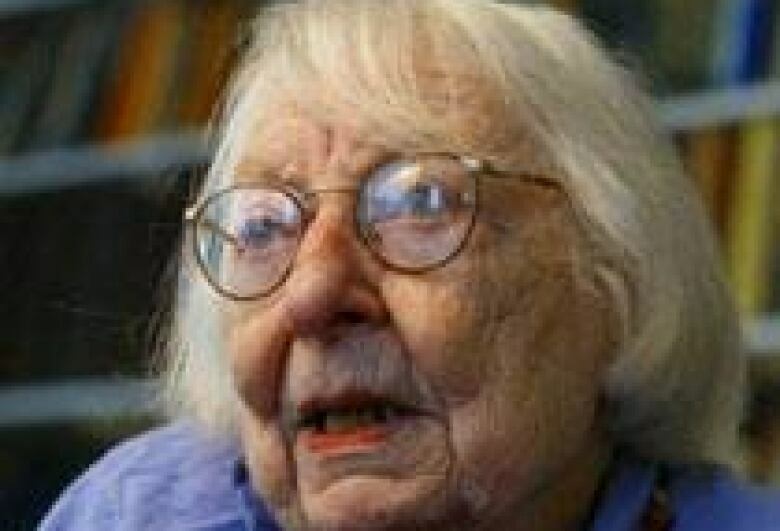 Jane's Walk was established after the death of Jane Jacobs, a renowned urbanist who fought for public and green spaces for communities in Toronto and New York. The walks, which have become popular since 2006, are free, organized by local residents and intended to be a walking conversation about communities and how neighbourhoods are formed. 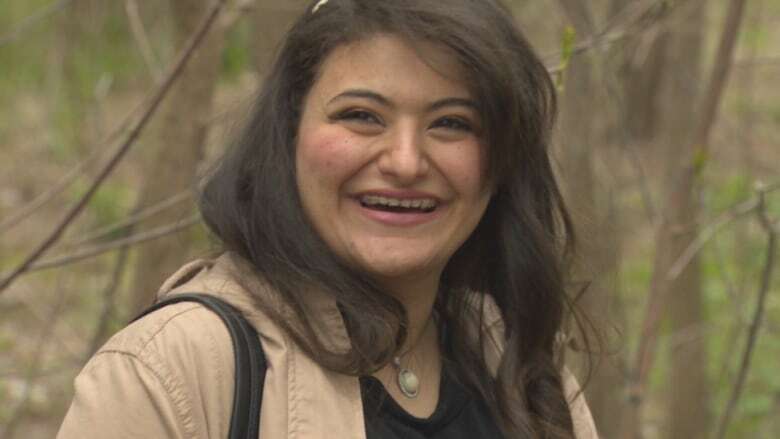 Exploring the park through Jane's Walk and welcoming new Canadians is an opportunity Farah Jibril says she couldn't pass up. Jibril arrived in Canada at the age of 11 and now wants to pass on the welcome she said she received from friends in the Mabelle neighbourhood. "[Newcomers] might not know what's around, what services are available here," Jibril told CBC Toronto. "Through Jane's Walk, they'd know where to hang out with their friends, where the library is and what's going on in their community." Mohamed Mohamoud who moved to Canada from the United Arab Emirates was among those who joined the walking tour. Often surrounded by the concrete of apartment buildings in his neighbourhood, he said he wasn't aware of the lush green landscapes right around the corner from his home. "The first time I was here was, 'I don't know this place, where am I?' A few months later and I feel like I'm part of the place," Mohamoud said. 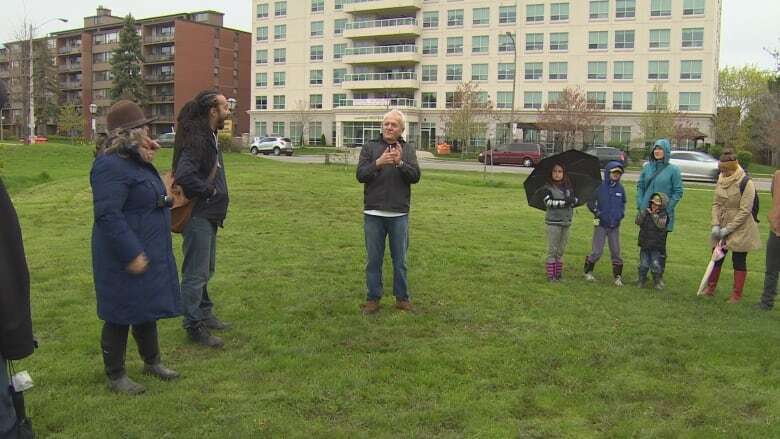 The growth of Broadacres Park is also a point of pride for Johann Fisch, a resident who has lived in the West Mall neighbourhood for decades. He began planting trees 35 years ago on what used to be a barren patch of land. In the time since, the trees and plants have sprouted, creating what is now the woodlot section of Broadacres Park. Fisch added that it's his hope that through Jane's Walk, young Canadians will be able to enjoy what their neighbourhood and park have become. "It's great to have different cultures that are now part of it — because that's part of Canada."